Christmas gift for my sister. Made using discontinued beads, but similar pieces could be made upon request using the same techniques. 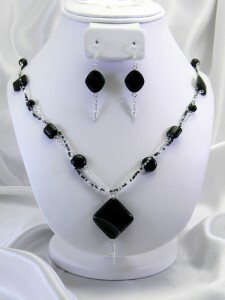 Onyx and silver in geometric shapes: doesn’t get much cleaner than that!